1. 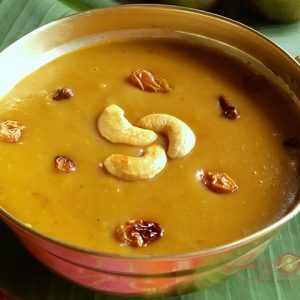 Dry roast moong dal in low flame and cook it in the pressure cooker. 2. 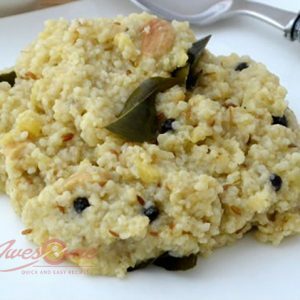 Fry semolina in 1 tsp of ghee and remove it from the pan. 3. Pour sufficient water in pan to cook the semolina. 4. When the water starts to boil, add semolina and stir well. 5. When semolina is cooked, add the boiled moong dal. 6. In a separate pan dissolve jaggery and boil until it becomes thick. 7. 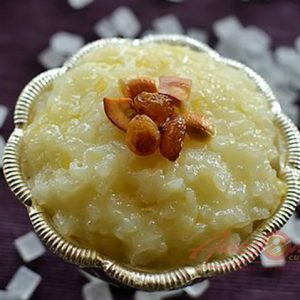 Add the grated coconut, ghee and semolina-moong dal mixture with the jaggery solution. 9. Add cashewnuts, raisins and crushed green cardamom along. 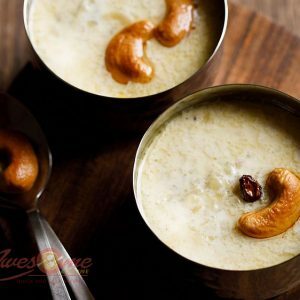 Feel free to comment or share your thoughts on this Sweet Semolina Pongal Recipe from Awesome Cuisine.